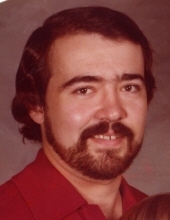 Michael Reese Smith, 68 years of age of Keen Mountain, VA, passed away Wednesday, April 10, 2019 at the James H. Quillen VA Medical Center, Johnson City, TN with his wife and son by his side. Born February 10, 1951 in Welch, WV, he was the son of the late James Reese Smith and Alma Richardson Smith. Michael was a United States Army Veteran having served in Germany where he taught the Pershing Missiles System. He worked for Island Creek Coal Company, Mescher Manufactory, and he last worked for the Virginia Department of Corrections in the Maintenance Department. He was an avid NASCAR fan and loved football, fishing, and small engine repairs and enjoyed being outside. In addition to his parents he was preceded in death by his infant son, John Smith. Those left to cherish his memories includes his loving wife of 46 years Robyn Dawn Spencer Smith of Keen Mountain, VA; son, James Reese (Jessica) Smith II of Bristol, TN; two grandchildren, Alex Smith of Kingsport, TN and Dylan Smith of Bristol, TN; and his father-in-law Jack Spencer of Lawton, OK.
Funeral service for Michael Reese Smith will be at 2:00 p.m. on Sunday, April 14, 2019 at Shortridge-Ramey Funeral Home Chapel of Keen Mountain with Brother Lenville Mullins officiating. A full Military Honors Service will be conducted at the Funeral Home on Sunday after the funeral by VFW Post #7360. The family will receive friends at the funeral home on Saturday, April 13, 2019 after 6:00 p.m. The family of Mr. Michael Reese Smith has entrusted the care of their loved one to Shortridge-Ramey Funeral Home of Keen Mountain. "Email Address" would like to share the life celebration of Michael Reese Smith. Click on the "link" to go to share a favorite memory or leave a condolence message for the family.